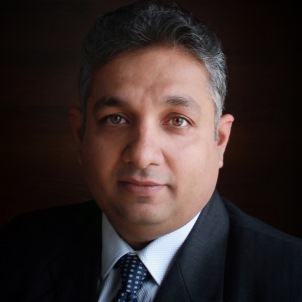 I’m a Senior Product Manager based at our Bangalore office, and I’m responsible for our real-time retail roaming solutions for our mobile roaming subscriber and policy management services. I’ve been at Syniverse for over six years, during which I’ve served in a number of product management roles in our Intelligent Roaming organization. Initially, I was a product manager for our wholesale optimization solution for long-distance voice calls made by outbound roamers. Later, I helped manage our data roaming solutions associated with bill-shock prevention, retail roaming plans, and bandwidth management services. The capabilities for mobile have grown exponentially, with new technology advancements creating new layers of complexity in mobile connections and enabling new levels of customization for mobile user services. As a result, one of the lessons I’ve learned is that developing finely tuned controls and features in the software, hardware and other equipment used to manage mobile services is critical. These granular controls allow us to more effectively manage the complexity and customization involved with mobile, and they ultimately allow us to deliver the best mobile experience possible. There have been many, but a recent one was when we needed to ensure that roaming usage would be captured and reported consistently in the system connecting one of our customers and one of the customer’s roaming partners. To do this, we had to complete a number of detailed analyses and discussions with our teams and with the customer, and this allowed us to ultimately drill down to the specific system components we needed to fine-tune to ensure that roaming usage would be measured and reported in exactly the same way. This effort took an incredible amount of planning, coordination and hard work for all involved. In the end, however, the way we were able to efficiently collaborate among our own teams and with the customer under a tight deadline to solve this challenge was an extremely rewarding team experience. The opportunity to work with a global team with a diverse range of technology and industry knowledge. We have cultivated an environment of continuous learning with a can-do attitude, and the way that this innovative spirit and teamwork allow us to tackle challenges is one of the things I value the most at Syniverse. I use an iPhone 4S for work and a OnePlus One for personal use. I use the Snapseed app frequently to enhance photos and apply digital filters. I find it handy to use my phone as an easy-to-use point-and-shoot camera. For two weeks, when I traveled by ship to the Lakshadweep islands, off the southwestern coast of India, where there was no GSM signal. But I still took my OnePlus for taking pictures. I like to take long drives with my family and explore new places. I also enjoy listening to music and playing my keyboard a little. 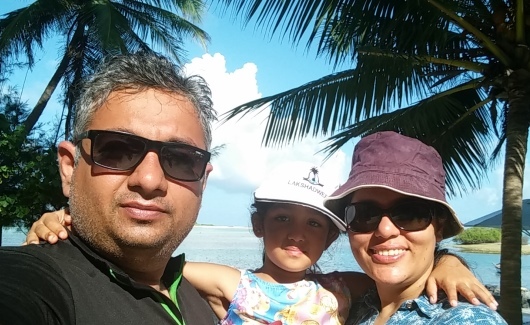 My family and I at the Kalpeni Islands in Lakshadweep, India. Nishant Sharma is a Senior Product Manager and works at Syniverse’s office in Bangalore, India.